An early bloomer with yellow flowers and brown flecks at the base of the outer wreath of petals. Iris is a genus of more than 250 species of flowering plants with showy flowers. It takes its name from the Greek word for rainbow referring to the wide variety of flower colors found among the various species. 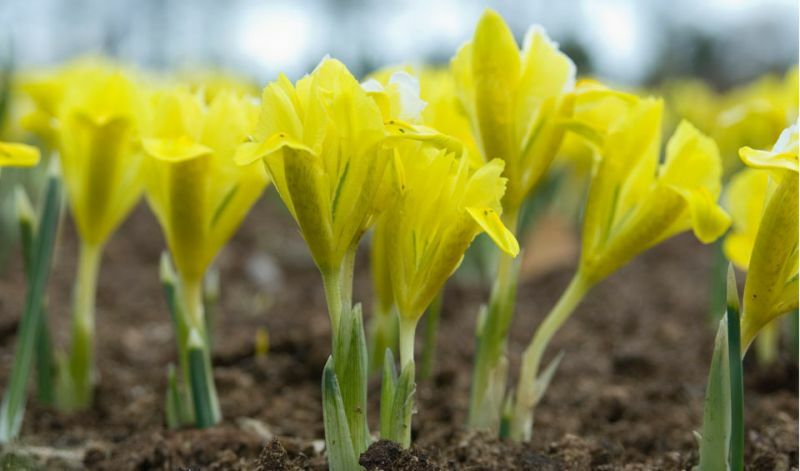 The two main basic types of iris are the bulbous ones (which we describe here) and the rhizomatous ones which are considered perennials (the most familiar being Iris germanica and Iris sibirica).